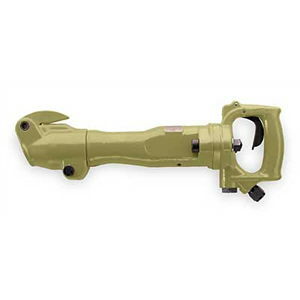 Pneumatic chip gun for light concrete demolition. Requires an Air compressor with min 50 cfm @ 100 psi, 3/4" claw type air connector to operate. Tool steel Points, Chisels rented separately. * Please call us for any questions on our breaker 30lb air chip gun rentals in Portland OR, Gresham OR, Milwaukee OR, and surrounding metro area.